I haven’t had time to do a lot of baking or cooking for my blog lately, but I have been busy with cake orders, so I thought I’d take a few minutes to share some of them. 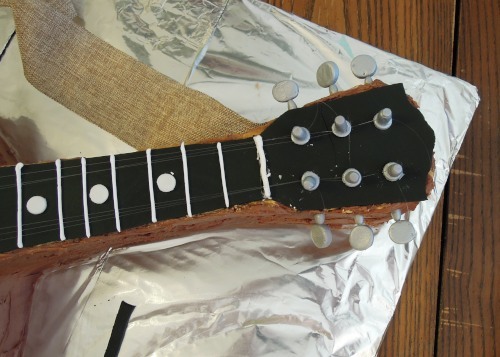 Guitar Cake–This one was a double layer of chocolate cake made with a half-sheet pan. 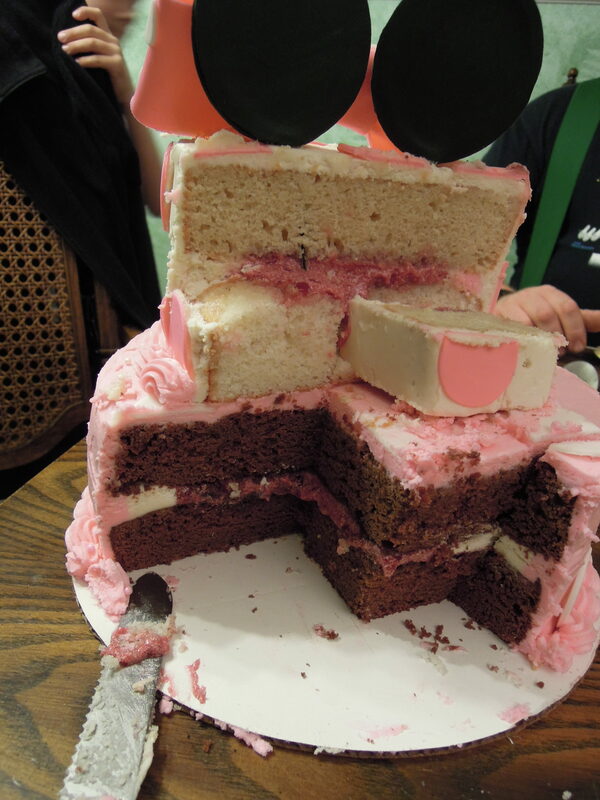 It was filled with a layer of pastry cream between the two cake layers and chocolate buttercream and vanilla buttercream. 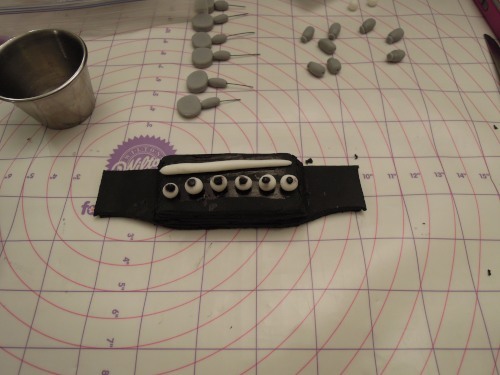 This is probably the most complex cake I have made as far as all the pieces and details that made up the cake. I have not worked with fondant very extensively because most of my clients prefer buttercream, but I sometimes use it to make accents and small details that I could never make so well with buttercream. I am certainly not up to professional standards yet, but I was very happy with how this came out. 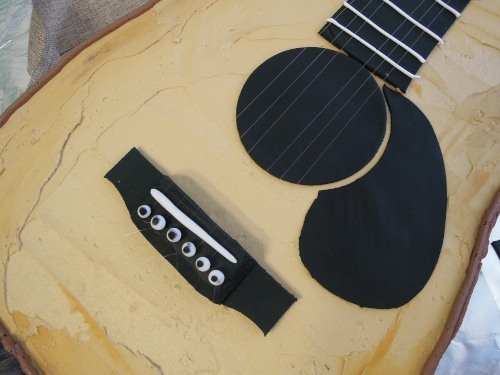 I bought a piece of ribbon for the strap and used thread to add six strings. 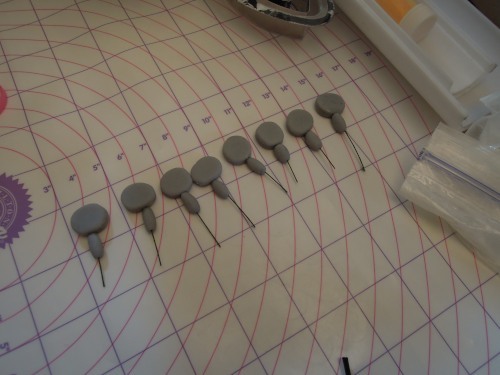 I made a lot of the headstock pieces with gray fondant that I sprayed with edible silver color mist. 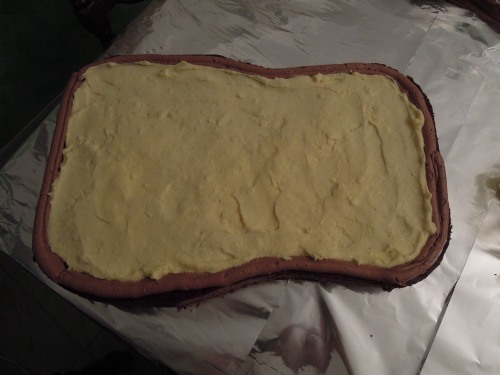 I added pastry cream as a filling between the two chocolate layers. 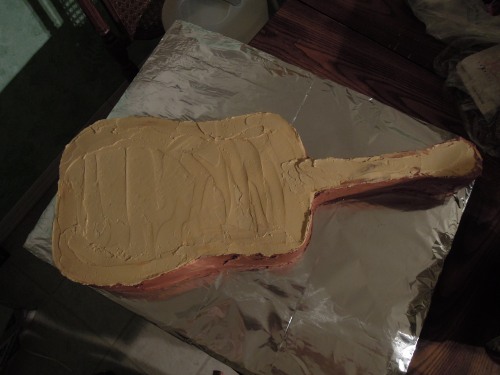 I covered the sides with chocolate buttercream and the top with vanilla buttercream that I colored tan. 2. Chocolate layer cake with strawberry frosting filling. 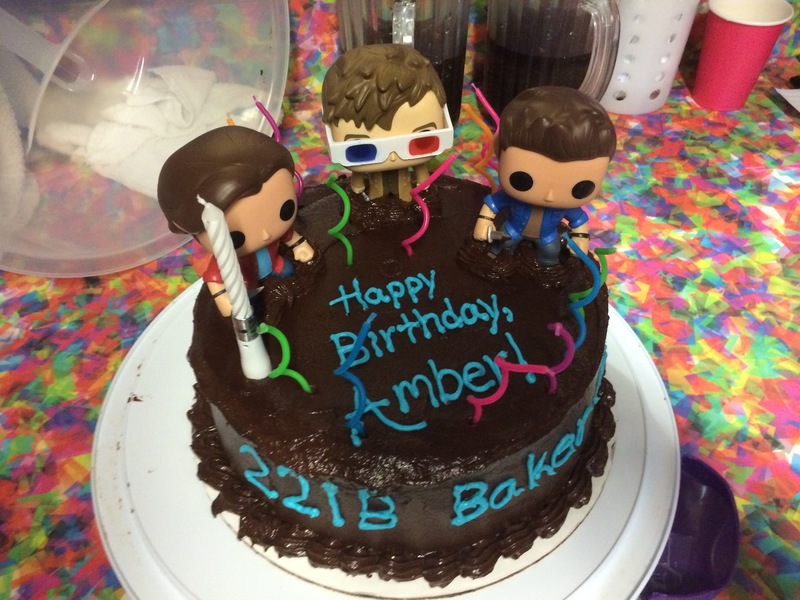 The client for this cake wanted a very simple design featuring some of her favorite figurines. 3. 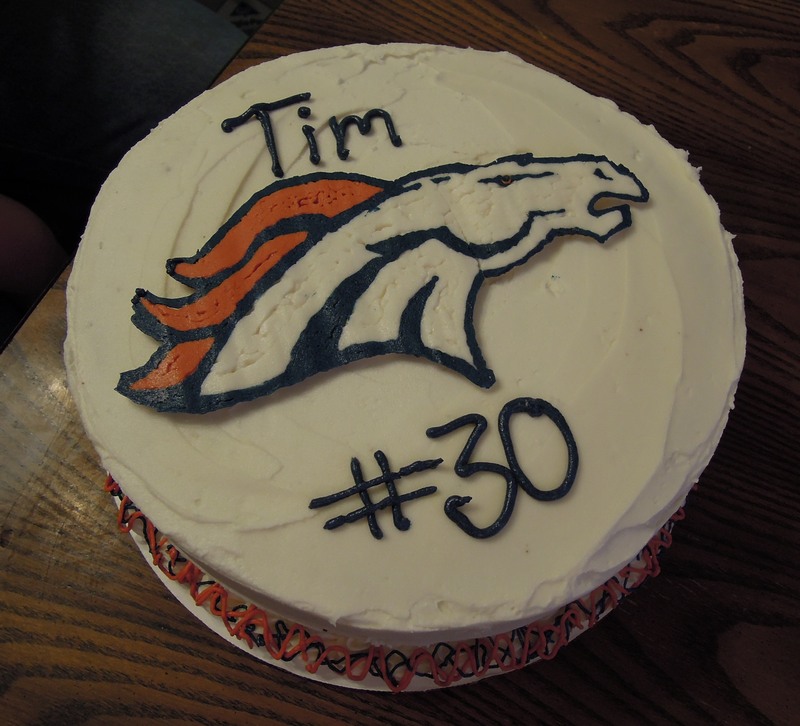 Bronco Cake–My brother-in-law is a huge fan of the Superbowl champion Denver Broncos. This was a chocolate cake with strawberry filling and vanilla buttercream. 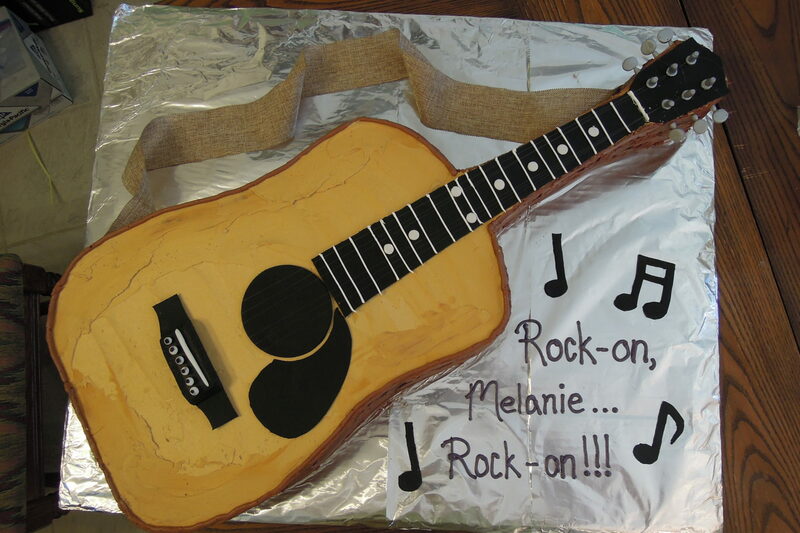 The design on top is made with a buttercream transfer technique. 4. 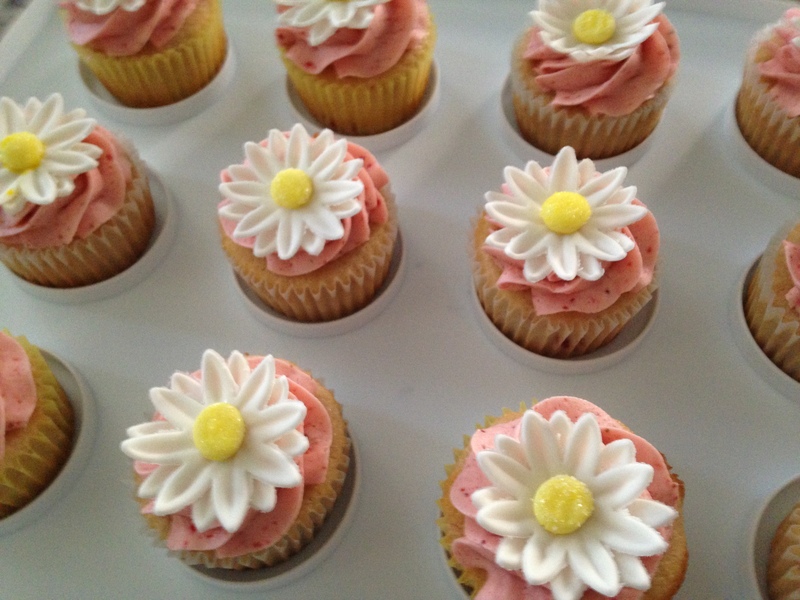 Daisy strawberry cupcakes–I made these cupcakes for my daughter’s Daisy Girl Scout event. The older Daisies were crossing over to become Brownies. 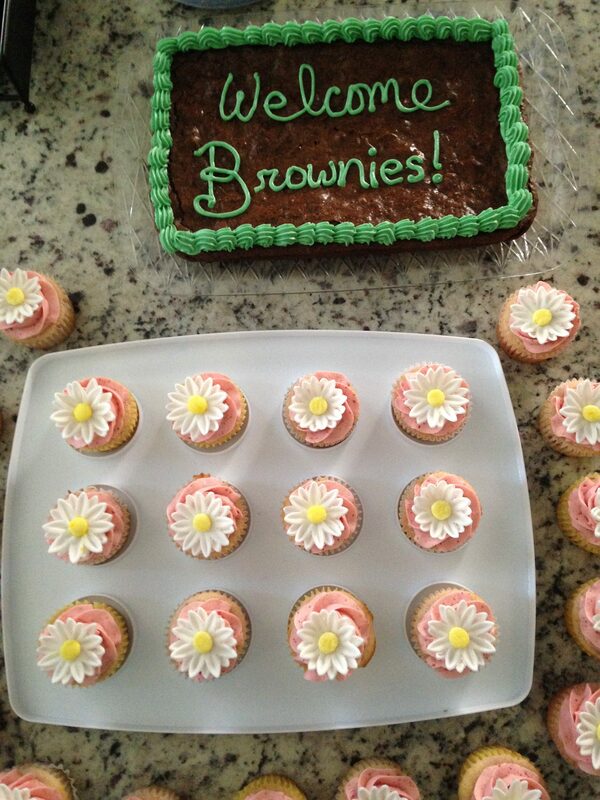 The Daisies are cut out of fondant and the cupcakes are the wonderful strawberry cupcakes I shared a while back. 5. 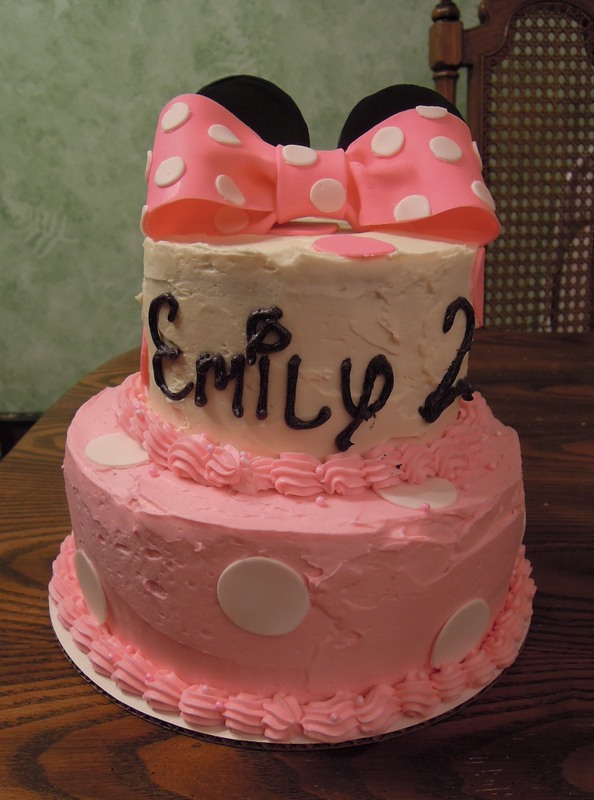 Minnie Mouse Cake–My niece loves Minnie… I made the same cake for a different client last year, and it was a big hit, so I did it again this year for my niece. 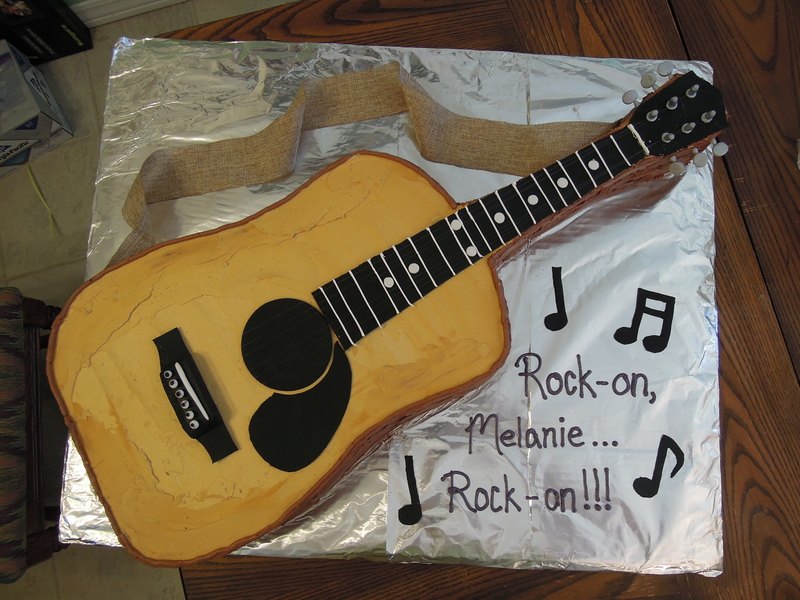 The cake is made of one layer of chocolate cake and one layer of white cake. The filling is strawberry jam. Minnie’s bow should have been a little smaller because it almost completely hides her ears, but the two-year-old was thrilled with it. 6. 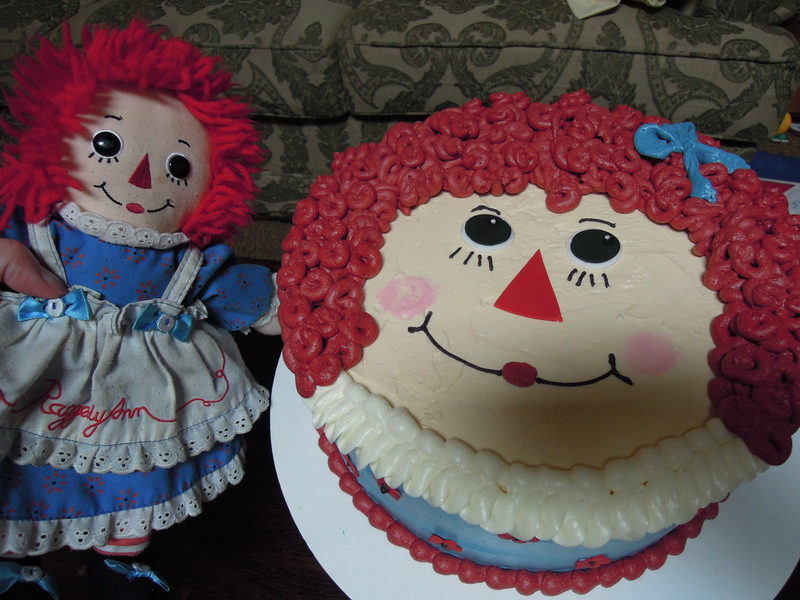 Raggedy Ann cake–A client requested Raggedy Ann for her three-year-old’s birthday party. A blast from the past! 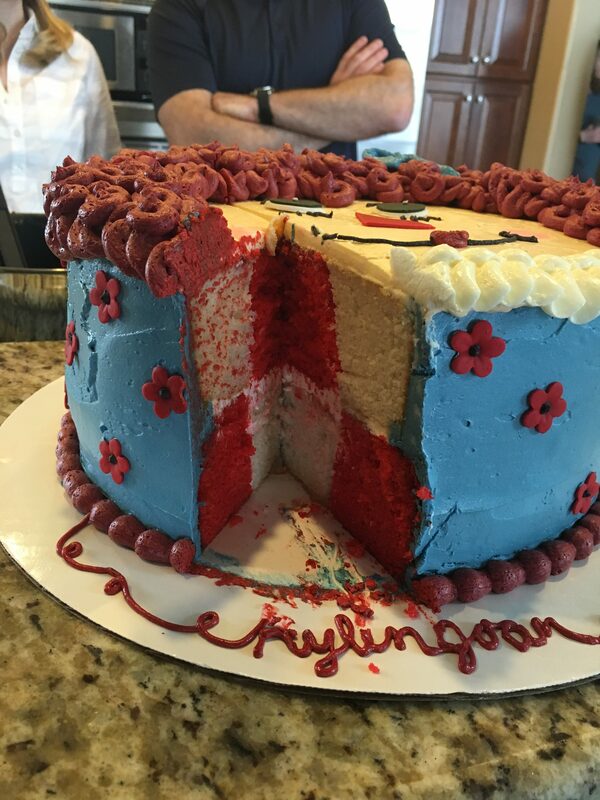 The cake was vanilla and the frosting is Swiss Meringue. 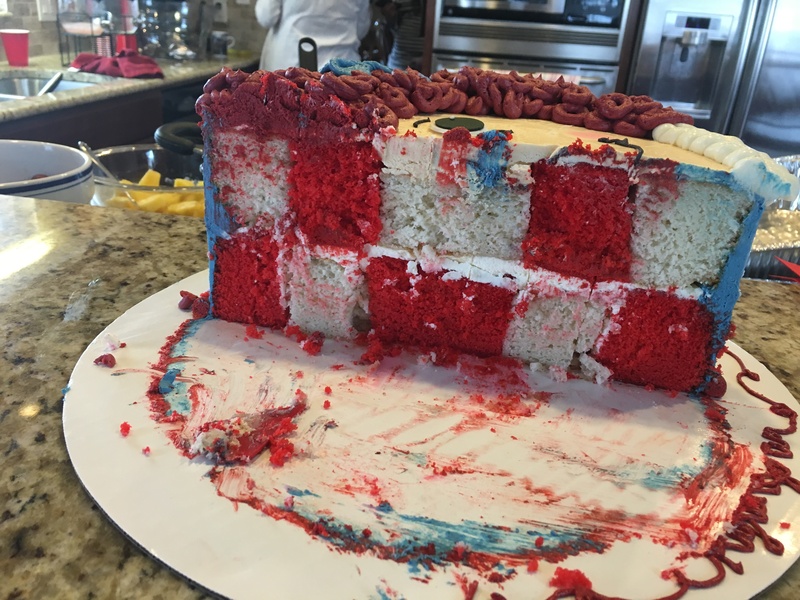 The client happened to mention that she would be using red gingham napkins on the table, so I made a surprise inside by doing a red and white checkerboard. This was my first attempt at a checkerboard, and I was happy with the results. It’s not nearly as hard as I thought it would be. Ann’s hair isn’t quite the shade I wanted, but she turned out pretty cute anyway. 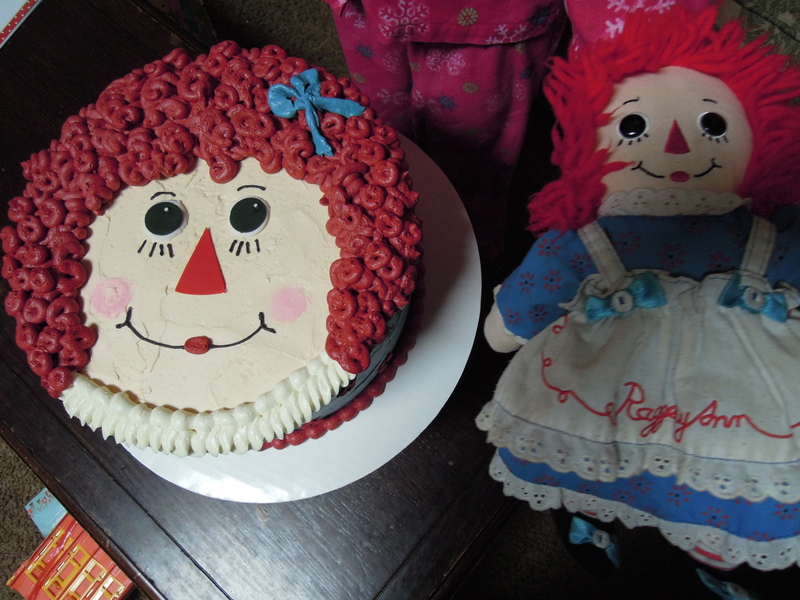 The facial features and flowers on her dress were made with fondant. 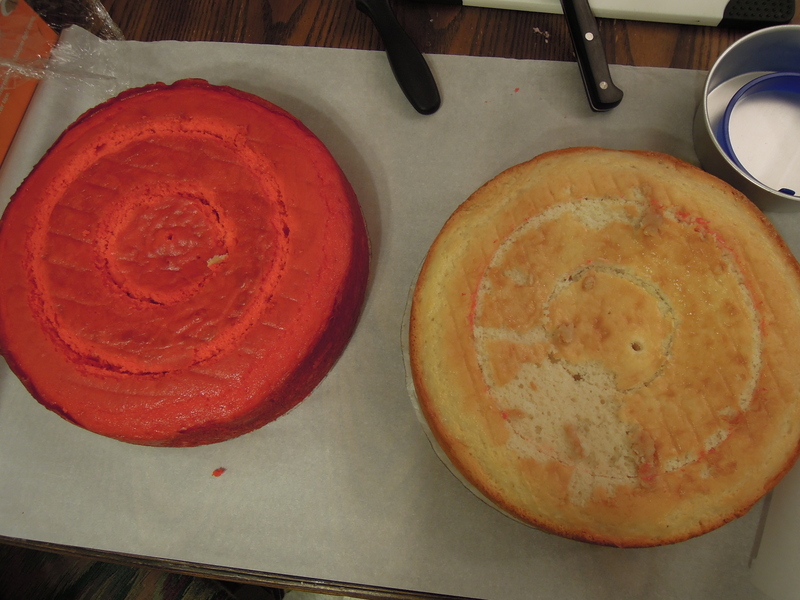 Make two (or three) different colored cakes of the same size. 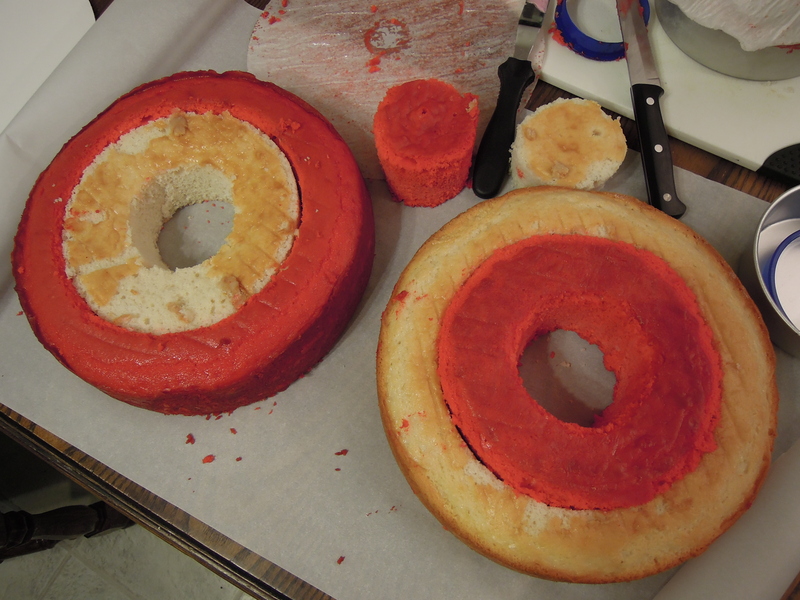 Cut and then swap circles of cake. 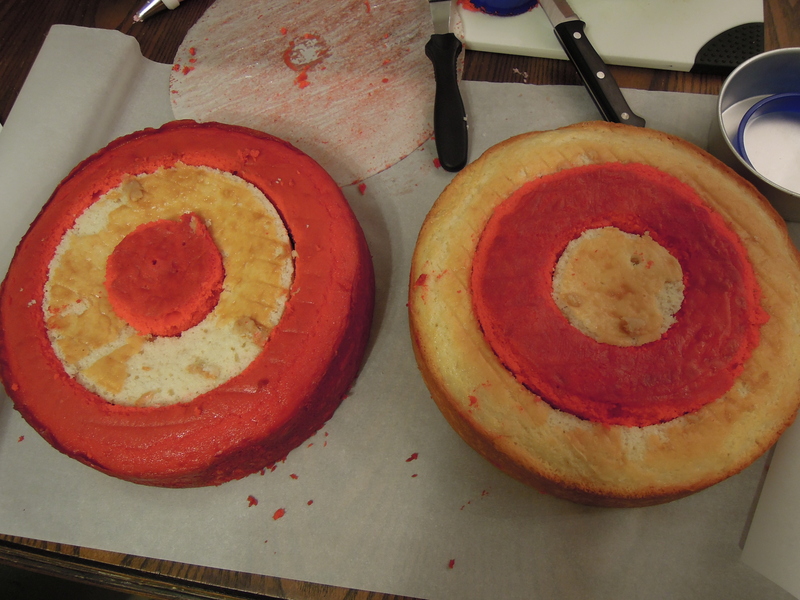 Replace cake in alternating colors. I hope you enjoyed looking at the cakes. It will probably be another week or so before I can get back to my regular posting on the blog. I have a few more deadlines and big events to get through. Thank you for visiting and please visit again. So very cool my friend.